The Fifth Ci rcuit reversed the decision of the district court, which had ruled that further discovery was prohibited by Rule 9(b) of the False Claims Act (FCA). The holding will allow whistleblower’s Cori and Kerrri Rigsby to continue searching for fraud committed by State Farm Fire & Casualty Co. against the government. In the initial claim, a jury had found State Farm Fire guilty of violating the FCA when it defrauded the National Flood Insurance Program (NFIP) after the destruction created by Hurricane Katrina. The Court emphasized that future discovery decisions should be decided by examining the unique facts of each case along with an attempt to strike a balance between the whistleblower’s interest in finding additional fraud claims and the defendant’s interest in limiting the costs of the discovery process. The two whistleblowers had a jury verdict in their favor which found that State Farm Fire had submitted a single false claim for damage caused by Hurricane Katrina. Hurricane Katrina struck the Gulf Coast in August of 2005, it was the fifth deadliest hurricane in United States history and the costliest natural disaster of all time, resulting in an estimated $108 billion in damage. Residents who had homes damaged or destroyed by the storm looked to a variety of insurance companies for damage compensation. Private insurance companies offered several policies but the type of claim made by the resident determined who ultimately paid the bill. 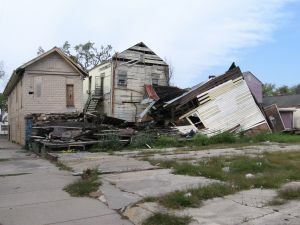 Wind damage claims were paid by the insurer themselves while flood damage claims were paid by the government through the National Flood Insurance Program. State Farm Fire and other insurance companies were allowed to administer the federal flood insurance on behalf of the government, so while State Farm Fire administered the policy, the government was the financial backer. The insurers owed a fiduciary duty to the government in the administration of the plans, but had a financial incentive to classify damage claims as flood damage instead of wind damage. Normally a strict procedure is followed to classify damage, but in the wake of the disaster the government allowed insurers to expedite damage classification. Through the expedited classification system State Farm Fire was able to classify the damage on the whistleblowers home as flood damage. The whistleblowers learned of an engineering study which had found the damage to be caused by wind, this study was hidden by State Farm Fire. State Farm Fire then submitted the claim to the government, who paid $350,000 for damage that should have been paid for by the insurer themselves. A jury decided that the classification was fraud in violation of the FCA. State Farm Fire was required to pay triple the damages, as required in all FCA suits, with as much as 30 percent of the total damages being awarded to the whistleblowers themselves. On appeal the Fifth Circuit found that the whistleblowers were allowed to continue discovery in a search for new claims. Going forward, discovery decisions under the FCA will hinge largely on the unique idiosyncrasies of each case. In the case at hand, there was enough evidence to show that State Farm Fire had submitted the false claim to the government with the knowledge that what they were doing was fraud. Because of this, the whistleblowers will be allowed to continue discovery, to determine just how much fraud State Farm Fire had actually committed. The discovery decision is good news for future whistleblowers. The allowance of greater discovery is important for two reasons. First, it will provide whistleblowers with an incentive to bring knowledge of even small amounts of fraud to the attention of an attorney, as the discovery process may show more significant and wide spread fraud. Whistleblowers receive a share of the total damages, so the greater amount of damages found, the greater the total payout to the whistleblower. Second, the FCA is an important tool of the government to identify, recoup, and prevent fraud. Greater discovery assists the government in uncovering all fraud committed against it.